Panasonic Corporation is a multinational electronics headquartered in Kadoma, Osaka, Japan. The Panasonic Corporation is a publicly traded company and is primarily listed on the Tokyo Stock Exchange. Panasonic also has a division dedicated to North America, aptly named the Panasonic Corporation of North America. You probably know Panasonic as a consumer electronics leader, but did you also know that they’ve been a solar pioneer since the green revolution began? They started developing promising renewable energy solutions over 40 years ago, and have amassed over 150 solar industry patents to date. 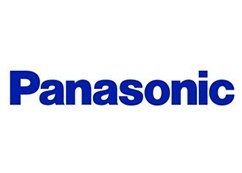 Panasonic was founded in 1918 and is now one of the largest Japanese electronics producers. Panasonic currently employs almost 250,000 people worldwide. With Panasonic, you can relax knowing that the solar panels you’re choosing are backed by the stability and financial strength of a $70 billion Fortune 500 company, and a name you can trust. Panasonic’s primary solar technology is their HIT® branded solar cell, which they have been mass producing since 1997. Panasonic’s HIT® and HIT® Black modules utilize both an advanced bifacial cell designed to capture long and short wavelengths of light, and a pyramid structure on the surface of their panels designed to help direct more light into the cell instead of out and away. Thanks to this advanced technology, Panasonic was able to set world records for cell efficiency and module efficiency in 2014 and 2016, respectively. Panasonic began mass production of HIT® modules back in 1997, and has recently achieved to bring failure rates down even below 0.01%. This is mostly due to their complete control over the production process in which no 3rd party suppliers are utilized. What’s more, Panasonic’s 15-year workmanship and 25-year output warranties give their customers an ironclad sense of peace of mind. Panasonic is a global leader in PV solar module technology, but is a Panasonic branded product right for you?